March 19, 2019 — The Coast Guard said it medevaced a sick fisherman Sunday from a boat 50 miles off Gloucester and took him to the hospital. An MH-60 Jayhawk helicopter aircrew from Air Station Cape Cod picked up the 40-year-old ill fisherman from the fishing vessel America, approximately 50 miles east of Gloucester on Sunday. The aircrew brought the man to Massachusetts General Hospital. Due to the interruption of federal services during the recent government shutdown, the GARFO Permit Office will accept fishing permit applications with expired U.S. Coast Guard Certificates of Documentation or with the application for a Certificate of Documentation through May 1, 2019. If you meet one of the following categories below, you may submit your application without a current Certificate of Documentation. We will accept expired Certificates of Documentation for fishing vessels that are renewing their fishing permits but are not changing ownership or are simply changing the vessel name on their Certificate of Documentation. Applicants must provide a copy of their most recent Certificate of Documentation. If the vessel will be changing ownership, we will accept the application for a Certificate of Documentation and require a copy of the bill of sale signed by both the buyer and seller. If the vessel is applying for GARFO permits for the first time, we will accept the application for Certificate of Documentation. Please note that this policy does not include state registered vessels, as they were not affected by the government shutdown. If your vessel has state registration, you will need to include the current registration with your permit application. Visit our website for forms and applications. Questions? Contact our Permits Office at 978-282-8438. 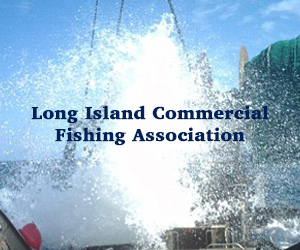 February 19, 2019 — Fishing Partnership Support Services is offering programs in New Bedford to make life safer for those who have one of the world’s most dangerous jobs, commercial fishing. Safety and Survival Training will be from 7 a.m. to 3 p.m. March 7 at the School for Marine Science and Technology of the University of Massachusetts, 706 S. Rodney French Blvd. Drill Conductor Training will be at the same location from 8 a.m. to 4 p.m. March 8. There is no charge for either program, and lunch is provided both days. February 5, 2019 — The Coast Guard is investigating what caused a 45-foot fishing vessel to sink early Sunday morning by steamship pier. The Coast Guard received a call from the owner of the fishing vessel Moonraker at 8:17 a.m., according to the agency. The owner discovered the vessel was submerged about a half hour earlier. The Coast Guard said there was 100 gallons of fuel within the vessel and 50 escaped into the harbor. January 29, 2019 — SEAFOOD NEWS — U.S. Coast Guard crews along the Oregon and Washington coasts assisted 17 fisherman in five responses between Sunday, Jan. 20, and Friday, Jan. 25 — just as the weather was clearing up and more fishermen, especially smaller vessels, were headed to Dungeness crab grounds. The two-person crew aboard the F/V Zephyr was escorted across the Yaquina Bay Bar in Oregon by a 47-foot motor life boat crew from Station Yaquina Bay, Sunday, Jan. 20. The crew of the 31-foot fishing vessel reported taking on water 17 miles south of the bay with less than 500 pounds of crab aboard. The onboard pump and auxiliary pumps were able to keep up with the flooding as the fishing crew were escorted in. An MH-65 Dolphin aircrew from Air Facility Newport launched as well, according to the press release. A four-person crew aboard the F/V Dream was escorted across the Columbia River Bar and safely moored in Ilwaco, Wash., by a Station Cape Disappointment boat crew aboard the 52-foot motor life boat Triumph, on Monday, Jan. 21. The 42-foot fishing vessel crew reported experiencing fuel injector issues while attempting to cross the bar with 1,000 pounds of crab aboard. A three-person crew aboard the F/V Miss Jessie was towed into Ilwaco by a 47-foot motor life boat crew from Station Cape Disappointment on Monday as well. The crew of the 36-foot fishing vessel reported they lost propulsion almost 3 miles west of Ocean Park where they anchored with 1,500 pounds of crab aboard until the Coast Guard crew arrived. A four-person crew aboard the F/V Redeemer was towed to Newport, Ore., by Station Yaquina Bay boat crew aboard the 52-foot motor life boat Victory, Monday, Jan. 21. The crew of the 51-foot fishing vessel reported they lost steering while on approach to the Yaquina Bay entrance with 5,000 pounds of crab aboard. The motor life boat Victory was activated again on Thursday, Jan. 24, when a four-person crew aboard the F/V Triggerfish was towed into Newport. The 42-foot fishing vessel crew reported they lost steering almost 2 miles west of the Yaquina Bay entrance with no catch aboard. Coast Guard stations along the coast maintain ready crews in the event of emergencies, which often involve the use of the 47-foot and 52-foot motor life boats. The 52-foot MLB is unique in that they are only located in the Pacific Northwest and that they are the only Coast Guard vessels under 65 feet with names. The four vessels are stationed at Grays Harbor and Cape Disappointment, Wash.; and Yaquina Bay and Coos Bay, Ore.
January 25, 2019 — Fishing companies that work off Alaska are donating money to Coast Guard workers who — despite missing paychecks — continue to conduct safety exams and patrols, and stand ready to respond to disasters at sea. IS THE COUNCIL IMPACTED BY THE SHUTDOWN? The Council staff is at work and conducting business as usual. However, most of our federal partners at the National Marine Fisheries Service (Alaska Region and the Alaska Fisheries Science Center), the U.S. Coast Guard, and the U.S. Fish and Wildlife Service are on furlough during the shutdown. WHAT ARE THE IMPLICATIONS? 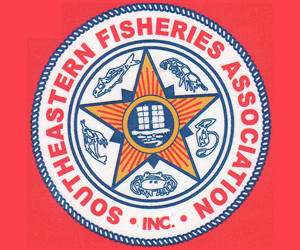 Since many NMFS scientists and fishery management specialists are key contributors to the Council’s analyses, Plan Teams and Committees, the Council is rescheduling or modifying the agendas for several meetings where NMFS representatives were expected to provide pivotal presentations, reports, and/or analyses. WHAT ABOUT THE COUNCIL’S FEBRUARY 2019 MEETING? The Council’s February meeting in Portland, OR at the Benson Hotel will be shortened to occur from February 4-10 and will still include meetings of the SSC and Advisory Panel. If the partial government shutdown remains in place, the Council will conduct as much business as possible given the federal furlough. The following agenda items have been postponed to a future meeting: C2 Observer Program Fees Initial Review and FMAC report, and D4 Economic Data Reports Discussion Paper. Additionally, the following items may be postponed as well: B4 State Department Report on Central Arctic Ocean fishing agreement; D6 Economic SAFE Report; D7 Marine Mammal Conservation Status Report. Additionally, the presentation on Saltonstall-Kennedy grant results may also be postponed. The updated agenda and additional information can be found at npfmc.org. 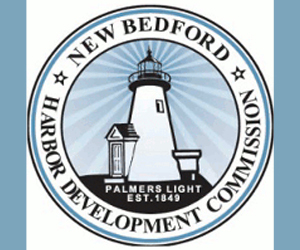 The Council may not be able to take final action on any agenda items during this meeting unless the meeting has been announced in the Federal Register at least 14 days before the Council takes a final action. The Council could make a ‘preliminary final determination’ on these issues, and take final action at a later meeting. 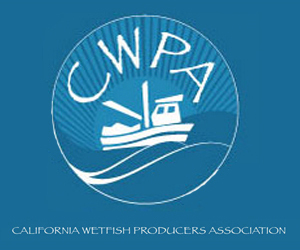 With respect to the Norton Sound Red King Crab Harvest Specifications, which requires timely action to open the fishery, the Council may hold a teleconference meeting as soon as the Federal Register notification requirements can be met, allow additional public comments, and take final action on that issue. Further information and updates on all Council meetings can be found at meetings.npfmc.org. Crab Plan Team: The Council’s Crab Plan Team will meet January 23 – 25 in Nome, Alaska. 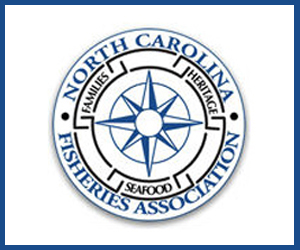 The meeting has been shortened to start on Wednesday, as some agenda items have been postponed until May as NMFS staff may not be available. 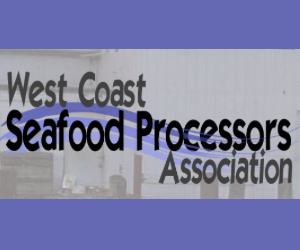 Halibut ABM Stakeholder Committee: The Committee will meet on February 4th at the Benson Hotel in Portland, OR. There are no changes to the previously announced agenda. 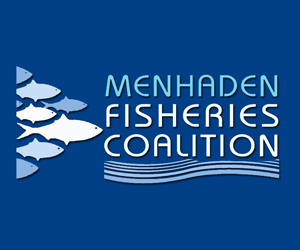 Fishery Monitoring Advisory Committee: This Committee meeting has been postponed, and will likely be rescheduled to occur during the April 2019 Council meeting in Anchorage, AK. The Committee was primarily scheduled to review the observer fee analysis (which has been withdrawn from the agenda), and other topics. 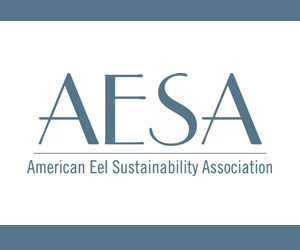 Ecosystem Committee: The Committee will meet on February 5th at the Benson Hotel in Portland, OR. The agenda will likely be modified to remove the presentation on marine mammal conservation status, unless NMFS staff are available to provide this report. At this point, no further changes have yet been proposed to Council Plan Team and Committee meetings that are scheduled for mid-February and beyond. January 10, 2019 — The U.S. Coast Guard confirmed Wednesday morning that three fishermen who were on boat when it capsized Tuesday night were killed. The Dungeness crab fishing boat, the Mary B II, capsized while crossing the Yaquina Bay bar Tuesday night in 12- to 14-foot seas, according to the U.S. Coast Guard. The Coast Guard was able to recover one body, 48-year-old James Lacey, from South Toms River, New Jersey, with a helicopter. He was taken to Pacific Communities Hospital where he was pronounced deceased. A second body, Joshua Porter, 50, from Toledo, Oregon, washed ashore near Nye Beach. The Mary B II eventually ran aground on the beach near the north side of the Yaquina Bay North Jetty. The boat skipper, Stephen Biernacki, 50, from Barnegat Township, New Jersey, was found deceased with the boat. “We did everything we could. Unfortunately, it was just a tragic outcome and our hearts and thoughts are with the family and friends of the crew,” said Petty Officer Levi Reed with the U.S. Coast Guard.